Fourteen years ago, Yi Liu began her doctoral program in the Department of Computer and Information Science at the University of Mississippi. Her research was in software engineering, particularly component-oriented programming. After four years, she graduated and began working as an assistant professor at the South Dakota State University. Promoted to associate professor, she continues to conduct research and teach in software engineering. Recently, Liu returned to UM as one of two Ph.D. alumni seminar speakers. Her topic was “EASTWeb Framework: A Plug-In Framework for Constructing Geospatial Health Applications.” While on campus, she met with several faculty members about shared interests and possible collaboration, and with a group of doctoral and master’s students. Before following her husband, who was already at UM as a doctoral student in chemistry, Liu taught a couple of years at Soochow University in her hometown of Suzhou, China. Liu is fondly remembered by her Ole Miss computer science professors. Dawn Wilkins, chair and professor of computer and information science, served as one of Liu’s doctoral committee members. Liu shares reciprocal memories of her professors. Honors and awards Liu received while at Ole Miss include the SAP Scholarship, summer graduate research assistantship, Academic Achievement Award in Ph.D. Program in Engineering Science and Graduate School Dissertation Fellowship. 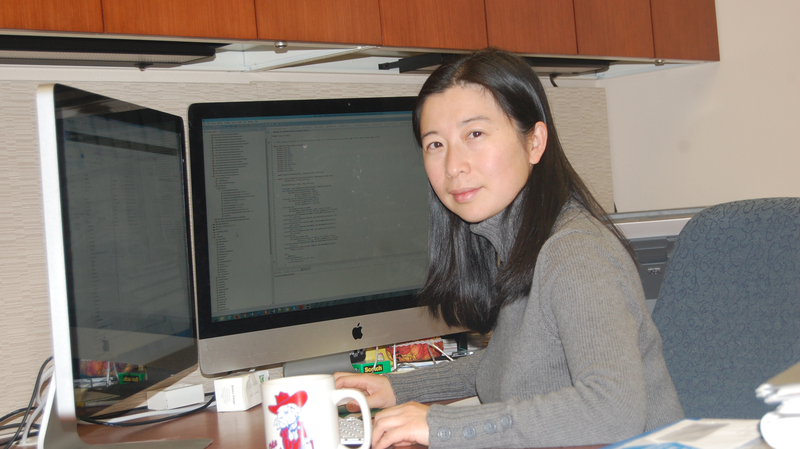 Liu’s active research grants include the Epidemiological Applications of Spatial Technologies Framework, an open-source, client-based software developed to automate the retrieval, processing and storage of satellite remote sensing data for public health research and applications. She is a co-principal investigator in the development of an integrated system for the epidemiological application of earth observation technologies, including the EPIDEMIA system, Framework for developing Web-Atlas applications and semantic-based image retrieving system. Liu has also created a crash-mapping automation tool software application, a remote sensing and precision agriculture application, intelligent software components, a new component-oriented software engineering course and BoxScript, a component-oriented language. A prolific author, she has co-written six journal articles, a book chapter and 22 conference papers. Liu has served on the technical program committee for a workshop and two conferences and been a reviewer for conference papers and journals.